What a lovely day? Blue skies, a glimmering, warm sun shining down with glaring rays of sunshine, lighting the darkest of spots in the tallest patches of grass. Clouds dabbled the skies much like brushstrokes, and an enchanting beauty enhanced it's nostalgic feeling. And at the riverbank, sat a lovely dragonness. Wings speckled with that which could be described like stardust, her scales rough, crude yet beautifully weaved together with an assortment of purple and black hues. She was truly a stunning dragonness that could be picked out from any crowd, and there she sat, plucking her talon into the thin surface of the water, ripples fleeing from the poke. She sat there, sighing and lost in thought, all alone. "Hmm... enticing." She mumbled to herself, clearly not impressed with the reflection she so deeply stared into. This riverbank was only little ways from the NightWing border, and remained in rogue territory. In the near distance, lie tall mounts of green, soft grassy plains. A diverse amount of critters scavenged in this area, and was the perfect hunting ground for any dragon. One would be foolish to consider any other grounding. Something quickly darted across the water, her eyes quickly followed with ease, but couldn't make out what it was, per say."...? What is that?" She flattened her ears to her skull, and crawled closer to the water. It darted again. "...!!" And then, a large, bulbous bull frog leaped out of the water and clung to her maw. Startled, she criss crossed her legs and tripped over herself, into the water! "Wait, wait, wait! Ahh!!" And in an instant, the frog leaped away, into the tall grass. Laying there in silence, she grunted and tried to lift herself from the mucky water. Raak-tolIs decided to take a break from his ice sculptures and wander around Pyrria. He much enjoyed revisiting places he had been to in his time as a rogue, and today was the perfect day for it. The weather was perfect and, being a Citizen, he had nothing to do. Eventually, Raak came upon a river that sparkled in the sunlight. He flew low, gliding over the glassy surface to feel the cool water against his belly. All of a sudden he heard a yell and a splash near the bank. 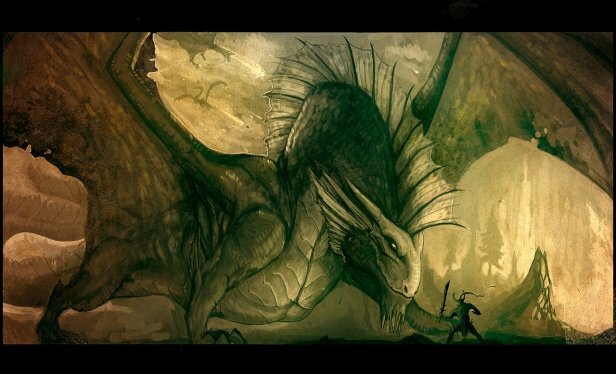 Looking over in that direction, he saw a Dragoness trying to get out of the water. Raak circled around to land on the bank then extended his paw to the distressed NightWing. "Might I be of service, Madam? And are you alright?" Roiya grunted, a troubled look frozen to her soft, yet scaly lips and scoffed. "Mmph..." He mumbled through bubbly sounds of the water and her own harsh movements. How discomforting was this? She was completely displeased with the turn of events, and couldn't see herself enjoying this stroll any longer any time soon. But then, a distant beat hit the air. A wingbeat, perhaps? Her orbs wandered around, trying to locate the source of the noise, but little to no avail. But soon, the source came to her rather than the other way around, and landed a brute of rather gentle eloquence. She shook her head in response to the question, "Ah... how inconvenient! No, please, I'm fine." Yanking her jaw from the water and lifting herself from the river, crawling back to the riverside and shaking the water off of her. Well, some of it. "Thank you, anyway. This is a bit... embarrassing." Raak took a step back as the female moved to pull herslef from the water. He lifted a wing as she shook the water from her scales, holding it at an angle so the droplets rolled off. With a chuckle he sat and looked at the NightWing, "I can only imagine,and you're quite welcome. But you are unharmed, at least, and that is the most important thing. If I may trouble you, Madam, how is it you came to this embarrassment? Perhaps the sun is too harsh? I know you NightWings prefer an evening stroll." he said with another chuckle. She was left with an unsatisfactory wetness to her scales, the moisture interfering with the relaxing heat of the sun piercing it's cool layer. She felt the embarrassment begin to consume her, not wanting to meet someone by being stuck in the hidden muck of a crystal river. It was truly not the impression she wanted out there, being clumsy and all. She could tell that he was shielding himself from the falling droplets of moisture, and it only added more guilt for bringing trouble to a stranger. But then he inquired something regarding the matter. "Oh? I ust saw something swim across the waters as I peered into the. Curiosity got the better of me and tripped over a frog to my maw... silly." She chuckled softly. "Quite clumsy of me." A black and white blur streaked across the sky, whisking through clouds, causing them to either change their shape or, in the case of the smaller clouds, lose their shape entirely. Maivon had decided to roam a bit farther than she usually did, coming this close to NightWing territory. Her blue eyes scanned the land below, looking for nothing in particular. She saw the river snaking through the land, resembling a silver ribbon from her vantage point. The young SkyWing flared her wings to stop herself and beat them to keep her aloft in place. There were two dragons... One was an IceWing, that was obvious. The other one looked like a... NightWing? She decided to land to get a better look. Maivon pinned her wings to the sides and fell, quickly opening them up the last few feet to soften her fall. She landed on her feet with a thud. The half-LightWing laughed slightly; he didn't want to embarrass the female further, after all. He glanced around then leaned in closed to the NightWing, whispering, "Fear not, Madam. I won't tell anyone. Besides, I'm sure we've all had our share of conflicts with frogs." With a smile, he leaned back again. "Might I learn your name, Madam? I'm sure you don't want me calling you that all the time?" 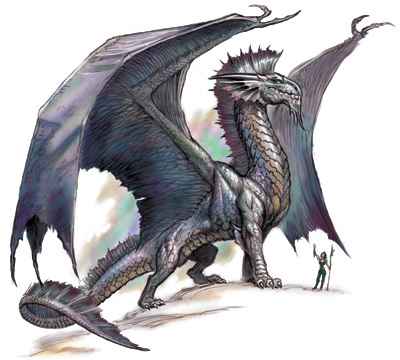 as he asked, Raak heard another Dreagon nearby and looked around, spotting a SkyWing.